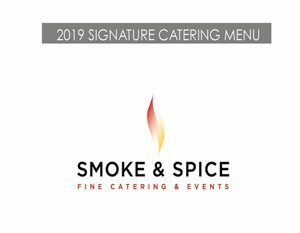 BBQ & Grilled Cuisine Menus – Everyone has their favorite grilled cuisine and BBQ dishes, and our Smoke & Spice Fine Catering & Events team is no different. Our gourmet grilled cuisine and BBQ menus will walk you through what we’ve seen to be the most popular options. But as always, if you’d like to add a bit of your own flavor, you’re more than welcome to. 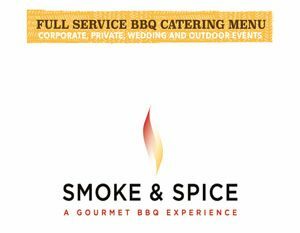 We would love to share our extensive list of gourmet BBQ items and complete event packages with you, so start planning your successful event now and call or contact us today. We have lots of catering options above for your next event. Are you getting married and want something more formal, then check out our Signature Catering Menu? 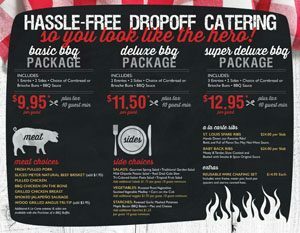 Are you planning a company picnic or maybe a birthday party, then check out our Casual Picnic BBQ Menu. Maybe you have questions on which catering menu is best for your event, then just pick up the phone and call us or send an email and we will be happy to assist you in understanding our catering menu options for you next event.